Digital evangelists believe that the blockchain could revolutionize everything from legal contracts to the way we use the internet. 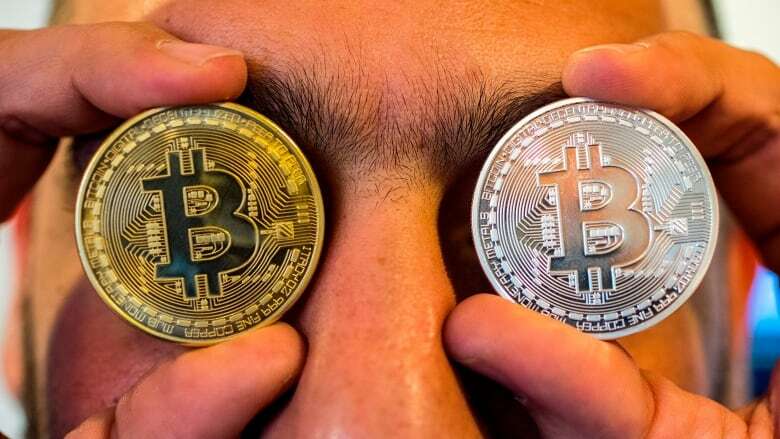 The trouble is, most people still don’t really know what the blockchain actually is, aside from being associated with the hyped — and volatile — digital currency bitcoin. Given the current cryptocurrency market, that has made blockchain a hot commodity. Case in point: A few months ago, N.Y. beverage maker Long Island Iced Tea Corp. renamed itself the Long Blockchain Corp. Despite the fact that the company planned to continue producing pre-mixed iced teas, the new moniker made its stock skyrocket and even earned it a feature in Vanity Fair. The beverage maker isn’t the only low-tech company profiting off of their new blockchain branding. Shares in SkyPeople Fruit Juice, which produces packaged food products, rose more than 215 per cent after it renamed itself Future FinTech Group, despite little evidence of any real adoption of blockchain technology. Elsewhere, a manufacturer of sports bras renamed itself The Crypto Company, which led to a surging share price before trading of the stock was suspended by U.S. regulators. While cases such as these are making overnight millionaires of their founders, they’re also stealing the spotlight from some of the more promising use cases of the new technology, and applications that go beyond simply being a new form of cash. In essence, the blockchain is like a ledger or database, in which information is stored and transactions are recorded. But instead of the ledger being bound in a book or the database being stored on a private server — as would be the case with a bank or a company like Facebook — it is distributed across a massive shared network. “The basic structure is really simple,” said David Gerard, author ofAttack of the 50 Foot Blockchain. “It’s an accounting ledger that you can only add to — you can’t cross anything out.” On top of that, he said, the system is tamper-proof, thanks to authentication with what are called cryptographic hashes – long strings of unique numbers that help verify that the data being shared is consistent. That basic architecture — a tamperproof record of transactions that exists across multiple locations, instead of being stored in a centralized location — is unprecedented. So while the world is abuzz over bitcoin, some argue the cryptocurrency bubble may ultimately turn out to be a distraction from the true significance of the blockchain, which could prove to be a revolutionary framework for applications ranging from contracts and the management of land registries to the control of personal information. The irony is, while it’s still riddled with complicated tech jargon, blockchain technology could simplify many processes in our daily lives. One commonly cited analogy is that the blockchain is like a Google spreadsheet shared across thousands of networked computers and continually updated and reconciled — meaning that a master version reflects the edits made on any one individual copy. Instead of changes being made by different parties on duplicate versions of a file, collaborators make edits on the same document, in real time, with a record of who made what changes and when. That in and of itself could make the process of executing legal contracts, for example, more efficient and less prone to human error, removing the redundancies associated with mailing and faxing copies of a document back and forth. Sweden’s National Land Registry has announced plans to test a blockchain-based system, which they say could expedite land deals and make them more secure. In the current method, transfers are recorded on paper, which requires multiple official documents and the use of physical mail. These examples may sound promising, but for blockchain evangelists, the true value of the technology could be its potential to give individuals ownership of their digital identities. “Today your digital identity is scattered across dozens, or even hundreds, of different sites: Amazon has your credit-card information and your purchase history; Facebook knows your friends and family; Equifax maintains your credit history,” wrote Steven Johnson in the New York Times. With the blockchain, having more control and ownership of your personal data could actually be achievable, partially because instead of tech giants such as Facebook storing your data on private servers, all of your transactions and data would be securely archived in an independent, distributed database, effectively undermining the social media giant’s monopoly. Imagine a future in which you control all of your personal data — you’re the one who gets to edit it, and even profit off of it, rather than a giant corporation. For the real believers, that, more than the surging value of bitcoin, is what’s really exciting about blockchain technology.